Memoir '44 is a wargame for two players designed by Richard Borg (he also did "Commands & Colors: Ancient" as well as "Battlelore", both of them are based on the same gaming system as Memoir '44). 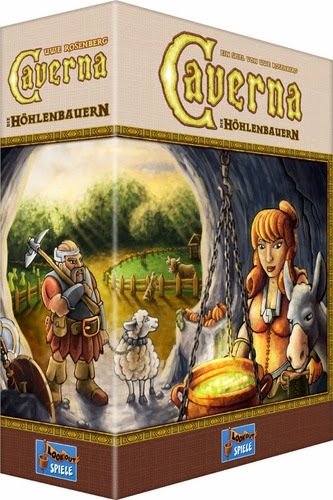 In opposite to Commands & Colors (ancient wargame) and Battlelore (fantasy setting), in this game you play through different campaigns in World War II. The gaming material comes in high quality as all DaysofWonder-products. A double-sided map is included as well as really nice plastic miniatures (soldiers, infantry, tanks, sandbags,…), command cards and markers representing different terrain that can be placed according to the campaign on the map (rivers, forest, villages,…). The little cards with a summary of the most important rules are also very helpful, especially at the beginning. After you have set-up the units according to the scenario you decided to use, the first player starts with playing one of his command cards to move his units. Depending on line of sight, terrain and distance to the enemy units, the player can start to attack the opponent. Combat is resolved in a straight-forward way by rolling dice, but nevertheless offers a lot of strategic possibilities by using modifiers for different conditions. 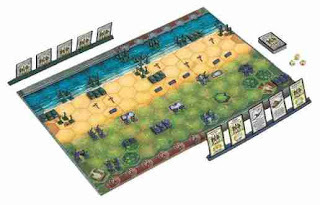 After the attack phase the player draws a command card and the second player starts with his turn - until one army meets the victory condition of the specific scenario to win the game. Memoir '44 is a rather simple, but exciting wargame - with an average game lenght of about an hour. Despite the fact that dice are used for resolving combat a lot of planning and decision taking has to be done, offering strategic depth that I didn't expect at first. I really like this mixture of not too complex rules and game play, with the need to nevertheless thinking hard about strategy and choices. It can be recommended wholeheartedly. 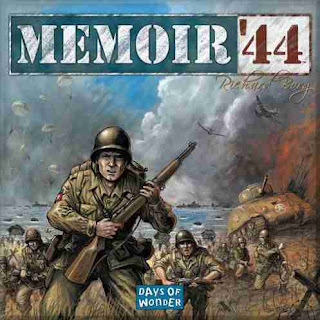 From the publisher: Memoir '44 ™ is an historical boardgame where players face-off in stylized battles of some of the most famous historic battles of World War II including Omaha Beach, Pegasus Bridge, Operation Cobra and the Ardennes.